Ambergris Caye, Belize, January 25, 2017	(Newswire.com) - ​Coldwell Banker Ambergris Caye is proud to announce that their little paradise of Belize did it again. 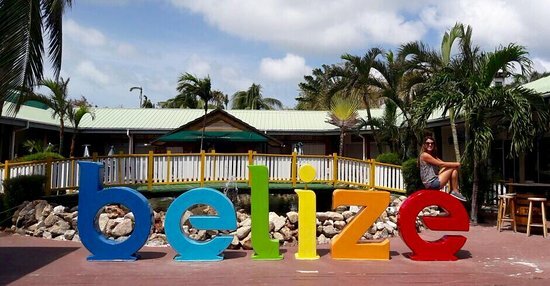 As the total tourism record was finalized and tallied for the year 2016, Belize hit yet another record-breaking rate for the entire year that beats the previous tourism records of Belize. Now, is this good news for all the savvy real estate investors out there? Of course, it is! In fact, this New Year, 2017, is forecast as a great chance for all real estate investors who have properties in a property management company or rental pool. It will be a year for them to take advantage of Belize’s popularity among tourists and big investors. Indeed, 2016 was a prosperous year not just for the people in Belize but for all investors here as well. Together, they help each other to boost the tourism and preserve the natural beauty of Belize. Tallying the overnight arrivals from 2014 to 2016, the total overnight arrivals in Belize from January to December 2014 was 321,220 while in January to December 2015, it grew into 341,161. But last year from January to December 2016, the total overnight arrivals in Belize reached an outstanding 385,583. Overall, it is 13 percent higher than 2015 with 44,422 more tourists that arrived and experienced the magnificent country. When is the peak of overnight arrivals for the entire year? According to Belize Tourism Board statistics, the highest peak for overnight arrivals happened last March 2016 with 43,063 recorded arrivals. The second highest month was December with 40,561 recorded arrivals. The cruising industry also experienced admirable increase year of year. As a matter of fact, the BTB reported that there were over 1 million passenger arrivals from cruise ships. This milestone is the first in Belize's relatively short cruise history with a 4.9 percent growth compared to 2015’s 957,975 and 2014’s 668,131 cruise passenger arrivals. With exactly 1,005,394 cruise passenger arrivals in Belize in 2016, the launching of Harvest Caye was said as one of the big contributors for the boost in passengers. Coldwell Banker is the real expert in Belize when it comes to the field of real estate. They are the experts on Ambergris Caye’s real estate whether you are searching for a private island, an investment condo or land for your own development. Coldwell Banker Ambergris Caye is just a few strides from San Pedro’s airport terminal so investors and buyers won’t miss them. Certified real estate agents at Coldwell Banker, Ambergris Caye are 100% guaranteed ready to guide interested buyers all the way through the buying journey until they find the right revenue producing property for them. Can’t walk to their office at San Pedro? Email them now and subscribe to their listings to learn more.